This week we've reviewed Apple's new iBooks creation app for the Mac as well as a cracking pair of cameras and a cracking pair of graphics cards to boot. There's also a great phone for the US, the Motorola Droid Razr Maxx which takes the existing Razr and adds a huge battery. Here's our full list of this week's reviews from the site. Amazon's Kindle, Barnes and Noble's Nook, and even Apple's iBooks have been working on moving us away from reading physical books and embracing the digital revolution. But until now, there was very little to convince us how good an idea this could be, since the digital versions looked very much like their real-world counterparts, right down to the page turning effect. 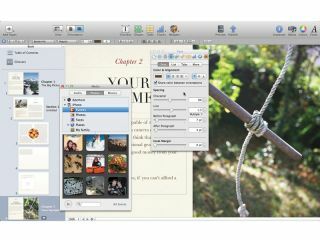 But this is what Apple is trying to change with its new content creation app, iBooks Author. Its aim is to revolutionise modern textbooks by bringing interactivity to the learning experience. - to the Leica-like FinePix X10, for the first time it gives a superzoom that same distinction. This means that the new 26x optical zoom Fuji X-S1 figuratively sits above the existing Fuji HS20 and HS30 models, even though the latter boast 30x zoom (maximum 720mm equivalent telephoto setting in 35mm terms). AMD showed its hand first in this year's GPU arms race with Nvidia by turning it into last year's arms race. While Nvidia has kept shtum about its upcoming new 'Kepler' architecture and looks to do so until spring, AMD stole the march and released the first of its new 7-series cards, the AMD HD 7970, a few days before Christmas 2011. That sure was odd timing, but it taught us a lot about AMD's new Southern Islands architecture, specifically the 'Tahiti' chip. The HD 7970's whopping £440 price made all those neat features all but irrelevant to the gaming masses though, so we're putting our hopes on this HD 7770 to deliver the best bits of the new AMD architecture for a more palatable price. The new Canon PowerShot G1 X - commonly shortened to Canon G1 X, or even Canon G1X - occupies the top spot in Canon's prestigious G-series compact camera range, offering a truly impressive array of high-end features. Launched at CES earlier this year, the new digital camera is aimed at advanced photographers in search of a high-quality, take-anywhere primary camera and/or backup for their DSLR. It may not be the compact system camera (CSC) that everyone was expecting to see from Canon, nor is it a direct replacement for the highly popular Canon PowerShot G12 - rather, it's something in between. The Motorola Droid Razr Maxx is the newest Razr to be released on the Verizon network. It takes everything you love about the Droid Razr, and fattens it up a bit with a whopping 3,300 mAh battery. That's a battery that's capable of 21 hours of talk time on a single charge. And while we're excited to finally disconnect from that required midday charge, the true power of a battery that size comes in the form of 7 hours of LTE browsing per charge.